The incorrect use of money is revealed in a complete analysis of expenditures. This analysis advises you to refrain from using money in things or areas in which you do not need it or are not worth spending a large amount on. In case of identification of incorrect expenditures, one can go for taking out money from the places where it should not be invested which then can be reinvested into places that can produce better profits. Dissimilarities among the people of a family are encountered while budgeting activity. Every being has his or her own desires as well as requirements which tends to motivate them to strive hard in order to achieve their motives which somehow illustrate the differences in their thoughts and desires. These differences might cause conflicts among the individuals of a family which can be dealt with through smart techniques like budgeting. Budgeting allows you to allot optimal resources as well as funds for all activities which take place in a household. Budgeting reduces conflicts and a huge amount of stress among all family members as it ensures the correct use of money through optimal allocation as well as appropriate tracking. 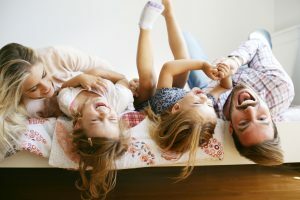 People tend to focus upon the key concepts which drive families to achieve happiness as well as prosperity in their lives. Finance is known to be the regulatory tool of a family which seeks to provide all members of a family with the fulfillment of their needs and desires. When a family comes across their savings, they are more likely to reinvest their money in appropriate places where they can earn greater profits for the welfare of both their present and their future. Budgeting helps a family to achieve its happy and flourished state in order to lead their lives in a prosperous manner. Budgeting is a key factor which optimistically influences the minds of a family so that they can achieve the state of contentment.